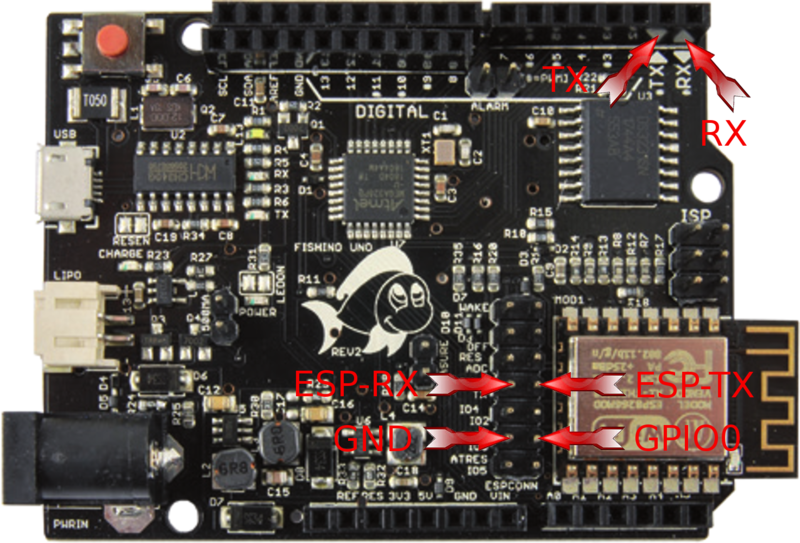 Fishino ships with latest firmware version available at assembly time. 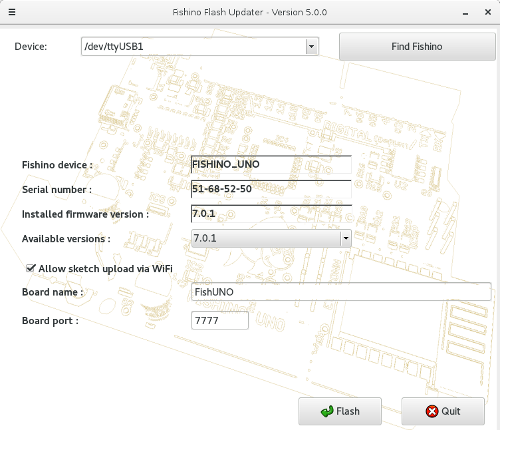 Being the firmware in constant development, we suggest to do an update before using it the first time and to repeat it periodically, as Fishino’s software libraries are also constantly updated with new firmware’s features. Upgrade process is greatly simplified by a downloadable application, available both for Windows and Linux platforms, wich does all needed steps automatically. Flash a sketch on Fishino which do not use hardware serial port. The BLINK example is perfect for this purpose. This step is needed to avoid conflicts on serial port which will also be connected to ESP module. If the application is unable to locate Fishino port, the problem comes likely from a sketch using Fishino’s serial port. Run FishinoFlasher application, checking that an internet connection is available. On Fishino32 no connection is needed; just press reset button and keep it pressed up to blue led starts flashing, then run FishinoFlasher application as usual. Once done, just press reset again shortly to switch to normal mode. 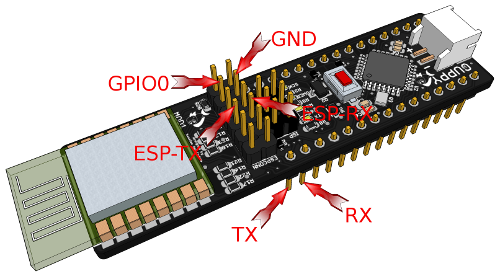 If all above steps are correct, the application will locate the serial port on which Fishino is connected, read its model and firmware version, connect to a remote server and download a list of available firmware versions, showing the last one, anyways allowing the selection of an older one in case you want to do a downgrade, as shown in picture. Pushing ‘Flash’ button the firmware upgrade procedure will start and a message will be displayed at end. To exit the firmware upgrade application just press ‘Exit’ button. If Fishino is not automatically detected it’s possible to select the port manually, even if it’s likely due to a connection error on steps above.Manual port selection become useful if you have more than one Fishino connected on your PC; in this case the first one will be automatically detected, but you’ll still be able to choose another one manually. 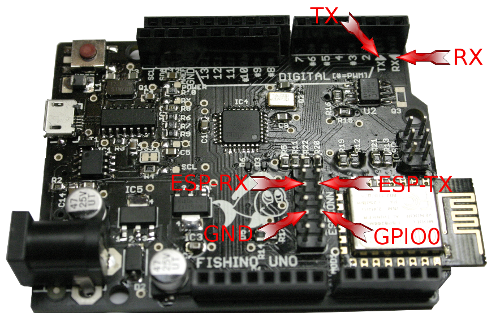 Once upgrade process is done, it’s enough to remove connections between Fishino’s pins and it will be ready to be used with new firmware. Flasher application says "no connection to server"
Did you load Blink sketch before preparing for flash ?